we were both in tears. 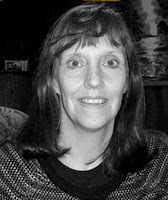 Bio: Karen O’Leary is a writer and editor from West Fargo, ND. She has published poetry, short stories, and articles in a variety of venues including, Frogpond, A Hundred Gourds, Haiku Pix, bear creek haiku, Shemom, Creative Inspirations and NeverEnding Story. She edits an online journal called Whispers http://whispersinthewind333.blogspot.com/ She enjoys sharing the gift of words. The poem so well expresses the silent communion between father and daughter...quite a moving poem Karen O'Leary! Thank you so much for your kind words on my poem. Sharing the gift of words is such a blessings. May you enjoy your creative journey. Best wishes in 2018! What a joy to share my poem for your beautiful journal. Thank you for publishing my poem. Thank you for sharing your wonderful poem with us all! Thank you so much, Marianne. I wish you the best always.